Genetic programming is a systematic method for getting computers to automatically solve problems. Genetic programming is an extension of the idea of the genetic algorithm into the arena of computer programs. Genetic programming uses the Darwinian principle of natural selection and analogs of recombination (crossover), mutation, gene duplication, gene deletion, and certain mechanisms of developmental biology to progressively breed, over a series of many generations, an improved population of candidate solutions to a problem. Many human-competitive results have been produced using the genetic programming technique, including the automated reinvention of previously patented inventions. 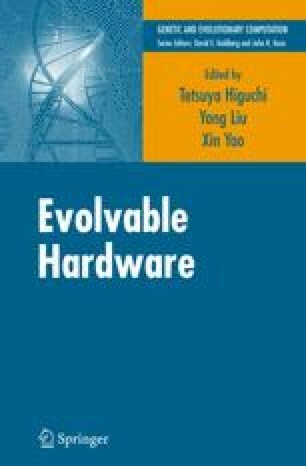 This chapter concentrates on the automatic synthesis of six 21st century patented analog electrical circuits by means of genetic programming. The automatic synthesis of analog circuits is done “from scratch”—that is, without starting from a preexisting good design and without prespecifying the circuit’s topology or number or sizing of components. This chapter also briefly summarizes some examples of the automatic synthesis of other types of complex structures by means of genetic programming.